Curbar Edge is the annual venue for the British University Cycling championships (BUCS). 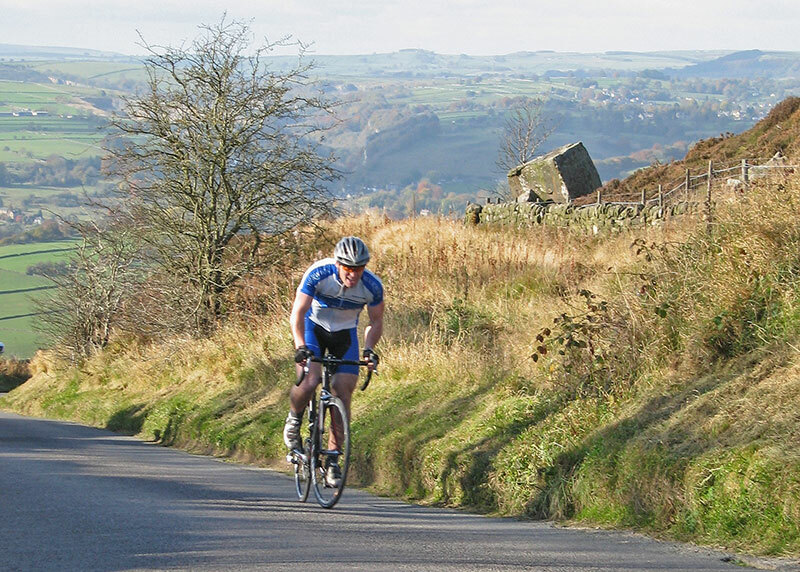 It is a great venue for a hill climb, with up to 300 students entering the annual hill climb. 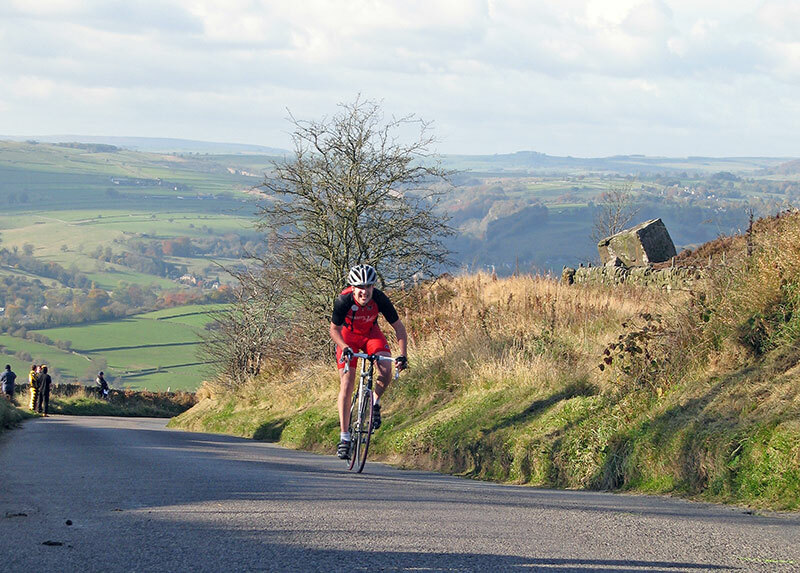 Curbar starts off with a tough 15% section, it then eases off a little. But, like many British climbs, there is no constant gradient with fluctuations making it difficult to get into a good rhythm. Towards the top of the climb on Clodhall Lane, there is a final steep section before you make it to the top. It is a tough climb to pace, with a hard section at the bottom, meaning you need to go hard, but still not too hard to blow up for the long 6 minute + climb.